← Saturday Party Downtown: Bring Back the Brown SD! The 2011 Mariners are terrible. But, for starters, let’s just throw my hometown Padres under the bus. Three days prior to the Seattle Mariners current 17 game losing streak… the Mariners just finished taking 2 out of 3 from the Padres. There’s that. After running into the CC Sabathia train last night, the 2011 AL Cy Young front runner… The Mariners matched the 1926 Boston Red Sox, 1962 Mets, and 1977 Atlanta Braves with 17 losses in a row. Just incredible. On July 6th, they were 43-43, a .500 record. Now? 43-60, a .417 record. Ouch. Well all this, of course, begs the question… what team has the longest losing streak in baseball history? How long until the Mariners have the longest losing streak ever? Well, depends on who you ask. Since 1900, it’s the Philadelphia Phillies, who lost 23 consecutive games from July 26 to August 20 in 1961. 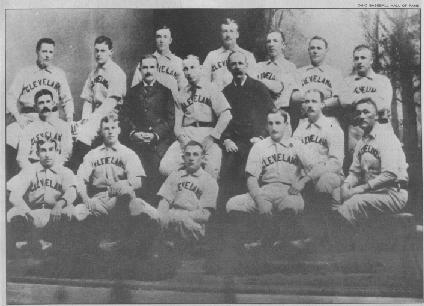 Back in 1899, the Cleveland Spiders lost 24 games straight. 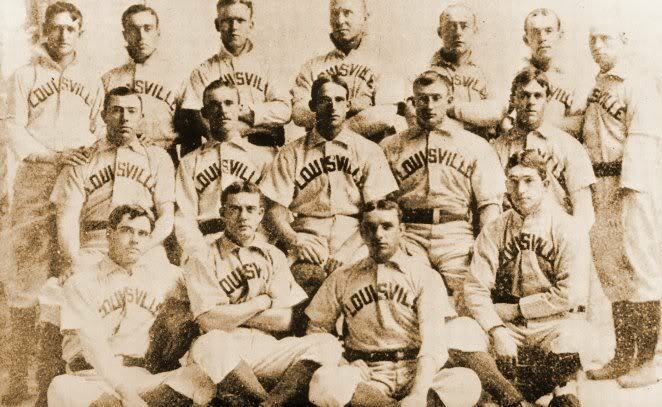 If you go back to AA baseball, the American Association… The 1889 Louisville Colonels have the record with 26 in a row. Here are some photos of them. See those names at the bottom? 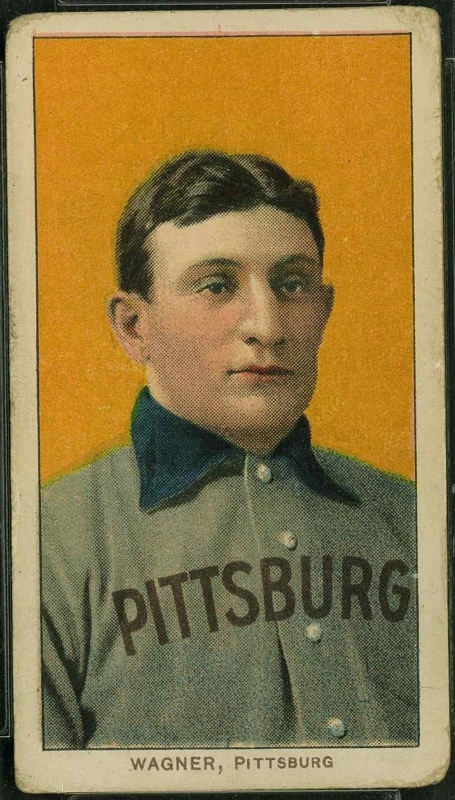 Yes, that’s THE Honus Wagner. You know, the one who’s baseball card sold for a cool $2.8 million. That makes it the most expensive baseball card in history. So, not only did the team who lost the most games in baseball history have Honus Wagner on its team… they have a few other notable accomplishments. Again, this one’s gonna hurt for Padres fans. The Louisville Colonels have 4 no-hitters in their teams history, 2 of them happened over a 9 day span. The San Diego Padres have none. The Louisville Colonels have had a player, Pete Browning, hit for the cycle twice. The San Diego Padres have none. A little lemon juice in the open wound of Padres fans? 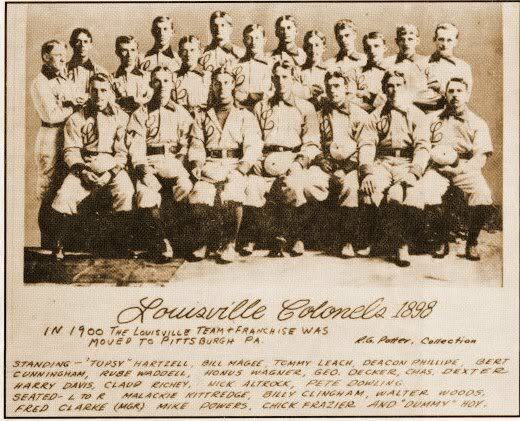 The Louisville Colonels franchise lasted for 10 years. The San Diego Padres have been around more than 40 years. Keep the Faith, Friar fans… some day we’ll get a no-hitter by a pitcher or the cycle by a hitter. Hey, at least we’re not in the discussion for the worst losing streak in Major League Baseball history. This entry was posted in Baseball, MLB and tagged 1926 Boston Red Sox, 1962 Mets, 1977 Atlanta Braves, 2011 Mariners losing streak, American Association, Baseball, baseball losing streak, Braves, CC Sabathia, Cleveland Spiders, Cy Young, Honus Wagner, losing streaks, Louisville Colonels, Major League Baseball, Mets, MLB, Padres, Philadelphia Phillies, Red Sox, San Diego, San Diego Padres, Seattle Mariners, T206, T206 Honus Wagner, The Louisville Colonels. Bookmark the permalink.